accessible to the police one week from now. The Senator said he is certainly not a criminal and has no motivation to keep running from the police. 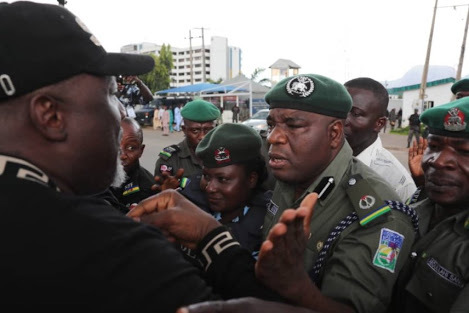 He clarified that the police intrusion of his habitation was superfluous and that he will report himself to the police when he comes back to Abuja. “I was informed that my house has been invaded. Over 40 policemen inside the compound and over 50 outside the gate. My staff were molested, beaten and handcuffed and taken away. “Presently I’m outside Abuja. I’m a Senator of the Federal Republic of Abuja, I cannot run away. I will make myself available as soon as I’m back to town next week. I am not a criminal, I have not done anything wrong,” he said. 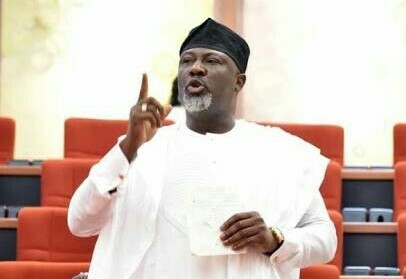 Melaye also accused the police of disobeying court order to release his international passport to him. According to him, a court order has said that his passport should be released by the police. “The police have arraigned me in seven courts already. There is a judgement that my passport be given to me. For the past five months, the court order on the IG to return my passport they have refused to obey that order. “But God has been protecting me, He has been my shield and buckler. I cannot run away. I’m not a criminal, I will make myself available to the force headquarters as soon as I return on Monday."